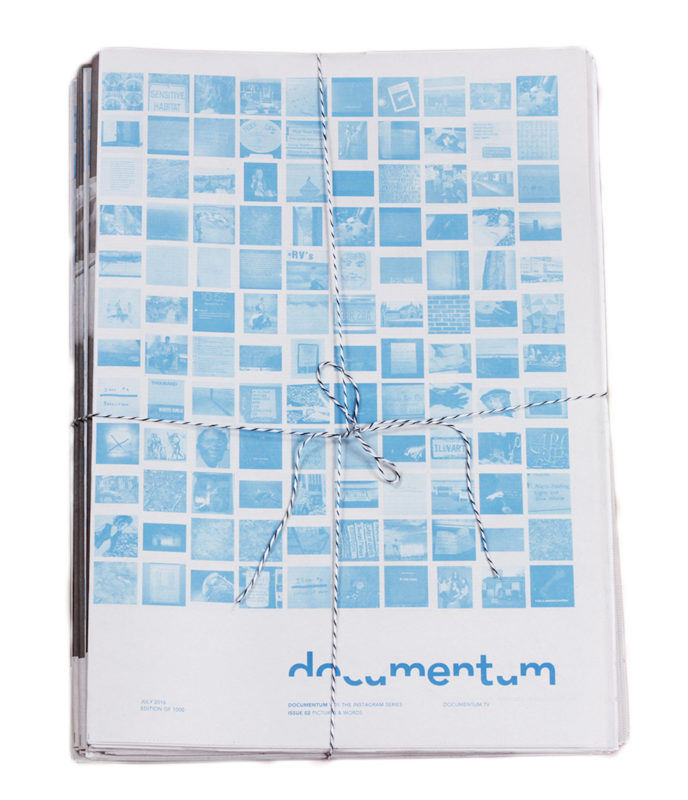 The first issue of Documentum is a 42-page over-sized newsprint publication examining and archiving photo and other image driven art work on Instagram. This is done with the understanding that in the future, Instagram will be different. It features the work of Stephen Shore, Tanya Marcuse, Chris Rhodes, David Campany and many others. Pictures & Words, the second issue of Documentum Vol. 1, examines the serious play in the literary text-with-picture space happening in the Instagram arena. The next two issues will continue to be image driven. They will include photography as well as other images and will focused on different aspects of the Instagram phenomenon. Future issues will hone in on video, conceptual, drawing and other art driven practices. The capstone issue will bring forward leading critics and cultural thinkers writing in the context of the images presented in the final and previous issues about the the impact of picture and idea sharing on Instagram and social media in the digital age. The Subscription includes all four issues of Documentum regardless of when you purchase.